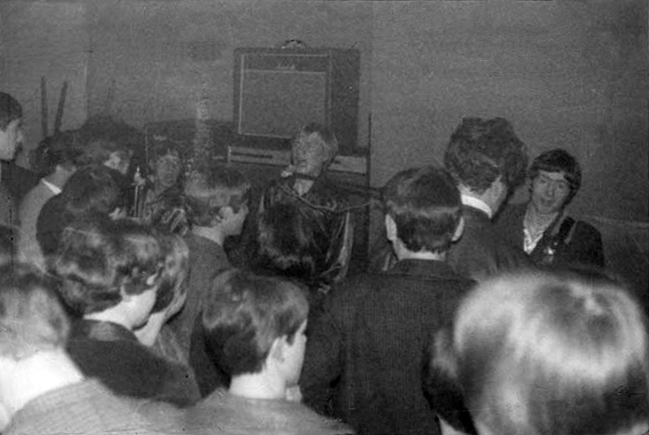 Performing at the Continental Coffee Bar, Cleckheaton in April 1967. At the back are Kenny Rooke (arm raised – solidarity salute or needs to go to the toilet? ), Graham Lockwood (just seen a tax inspector come in) and Pete Sewell. We seem to be wearing our new and hip silk shirts.